Psychology is the key to understanding and modifying human behaviour and development. Our master covers a very wide range of areas, offers 10 tracks and a lot of room for your individual preferences. Work, Organisation and Personnel Psychology (EN): factors influencing people's emotions and behaviour at work and consequences. the Psychology department in Groningen is ranked #29 in the world according to World University Rankings 2018, and #38 in 2019.
in our Master's programme research in and the application of science is central. Therefore, an important component of this programme is an independent, academic research project reported in an Master's thesis. Each track of the master offers at least two foundation courses, i.e. courses about central topics of the track. You must pass the exams of two of these courses in order to complete the track successfully. In addition, one of the skills courses or practicals offered by the track and one of its methodology - or statistics courses must be passed as well. For your two electives, you can choose from other courses or practicals in the track of your preference. Alternatively, any courses or practicals from one of the other ten master tracks can be chosen, too. All courses and practicals in the master amount to 5 EC, whereas the master thesis, including an eventual internship, has a value of 30 EC. The thesis is always the report of the scientific study you conducted individually. If you did an internship during your master, your thesis should contain its description as well. In most of the tracks, the various components of the master are distributed over two semesters, each composed of two blocks, as shown in the table below. BSc in Psychology. For exceptions and a full description of admission requirements, please consult https://www.rug.nl/gmw/psychology/education/master/aanmelding-en-toelating/ NB: Only students with an HBO (Dutch University of Applied Sciences) Applied Psychology degree can be admitted to the (pre-)master's programme. Applications of students from other HBO programmes will not be considered. For a full description of the application procedure, please consult the Application page of the Psychology master admission committee. A ttention! The tracks Clinical Psychology and Clinical Forensic Psychology and Victimology only start in September. For a full description of the application procedure, please consult the page on Application of the Psychology master. Attention! The tracks Clinical Psychology en Clinical Forensic Psychology and Victimology only start in September. For most tracks students who have finished the Dutch bachelor in Psychology at the University of Groningen can register until 1 February / 1 September, see the track page or read the Instruction manual for UG bachelor Psychology students. Psychologists often find work in mental healthcare institutions. They can intermediate between research and clinical practice. They can be adviser or consultant. You may also find them in companies and organizations, where they assess and select new personnel, or train employers. It is also possible to do research at a university or a private research institute. Psychological Research: Something for you? Are you thinking about what you will do after your bachelor or which master programme you would like to take? Perhaps you are especially interested in research and are you already following a master programme at the RUG that focusses on this aspect? Do you want to know more about current developments in psychology at Groningen? Read the blog mindwise: http://mindwise-groningen.nl. Psychological Research at this university is done at the Heymans Institute, called after the founding father of psychology in the Netherlands. The versatility of its research, ranging from fundamental to very practical, manifests itself in the seven research programmes of the institute. Quite a few staff members, whom you may have met as a teacher already, participate in these programmes. To help you orientate on psychological research, this site periodically highlights three researchers from different subfields of psychology. We hope these web pages present interesting information and may inspire you to gather some ideas for a topic for a master thesis. For a general overview of research of the Psychology department have a look at Mindwise. This is a blog platform of the Department of Psychology of the University of Groningen (located in the Netherlands). Staff and students write in a personal capacity about psychological research and education in Groningen, and express their opinions on current affairs based on their expertise. After I finished my Bachelor's degree in psychology at Leiden University, I wasn't sure which Master's degree I wanted to do and I decided to first travel for a year. During my trip I found out that I really wanted to learn more about creativity, but when I started looking for Master's degree programmes on that topic I only found programmes in the US and Scotland. Then I stumbled upon the Master's programme in Talent Development and Creativity in Groningen. It seemed very interesting and it is the only Master's programme in the Netherlands that really focuses on creativity. I finally submitted my application during my yoga teacher training in Nepal. We learn a lot about how to recognize talent and creativity and how to encourage people. I'm very interested in coaching. We have a course unit in which we learn coaching techniques by practicing on each other and then actually applying them in practice. I still live in Leiden. After being away for a year, I wanted to be near my family and friends. I travel back and forth – fortunately, there is a direct train – and sometimes I stay overnight with my uncle. My name is Eric Rietzschel and I am Assistant Professor in the Master's degree programme Work, Organizational and Personnel Psychology, where I teach Creativity and Innovation in Organizations. I coordinate this Master's track together with Susanne Scheibe. The field I work in covers pretty much anything that people think, feel and do, applied to organizations and often in the workplace, but not necessarily so; it can also apply to cooperation within a club or association. Everything that plays a role in psychology — personality, skills and emotions— can be related to this. What I like about my field is that it gives you the space to study everything that you find interesting about people but at the same time provides a clear context to guide you. It goes beyond random thinking about people but instead focuses on people in a specific setting. Another feature of the programme is diversity, both in terms of subjects and lecturers. Students have the opportunity to ‘direct’ their own Master’s programme by choosing the subjects and lecturers that they find interesting. Students can create their own profile, as it were, whether they are interested in staff selection, innovation, coaching or something else. I am also very enthusiastic about the combination of theory and practice; this field gives you a clear view of what practice is or can be. This way we can teach students how theory has immediate implications for practice. My name is Annika Handreke, 24, and I started studying the Master Environmental Psychology in September 2017. When I heard about the Master of Environmental Psychology in Groningen, I was immediately intrigued and excited, as I previously did not know a field that combined environmental studies and sustainability with psychology.. I think the courses are a nice mix of more research-oriented subjects, where we learn to critically think about theories and how to advance them, and subjects with a strong practical focus. Course subjects range from giving a broad overview of environmental psychology towards examining practical and theoretical problems in great depth. All courses are designed to be very engaging and interactive, which challenges you to think along and not only to listen. In the future, I would like to work as an advisor on environmental issues, for an NGO, company, or the government. I am looking forward to using my knowledge of psychology to advise decision makers on how to effectively raise awareness about environmental problems and solutions, and on how to better implement interventions towards sustainability. My dream would be to work for an organization that raises awareness about the multiple environmental problems related to livestock and tries to promote ways to change people’s eating habits (at least a little bit). I teach the course units 'Evidence-based interventions' and 'Diagnostic models and strategies' on the Clinical Psychology Track. Although I work for the departments of Clinical Psychology and Experimental Psychopathology, my research lies somewhere between the departments of Clinical Neuropsychology and Clinical Psychology. I feel at home in both fields. My particular expertise is in psychotic disorders. Psychoses are extremely interesting. They create a very unique clinical picture, with many different manifestations and affecting many different types of people. It is fascinating to see how the brain can fool itself. People believe unimaginable things that other people cannot understand or see, regardless of contradictions or external proof. The next question is how best to help these people return to functioning in society. Increasing social participation and counteracting stigmatization are thus my most important objectives. Psychology is a branch of science that is very close to daily life. Psychologists study day-to-day social processes. The main attraction of clinical psychology is to make a difference for other people. Curiosity is a major factor – curiosity about the causes of problematic behaviour and the motivation to find out how to best treat these problems. The Clinical Psychology Track has a lot to offer prospective students. For example, we look at scientific themes from a clinical practice point of view, while at the same time paying attention to innovations in care. We also conduct experimental research to see which processes lie behind certain forms of psychopathology. The expertise of the lecturers is very varied – we have a lot of knowledge from many different domains. One of the courses I teach is called “Personal, Social and Cultural Change”. It's a course where students really have to get their hands dirty. They learn to analyze human behavior based on psychological theories, and how to evaluate and improve interventions which aim to change people's behavior. Another course I teach is “Current topics of intergroup relations in society”, which is a very interactive class. I ask students to present and analyze recent developments in intergroup relations from their own cultures based on social psychological theories they learn in class. This year we have analyzed the rhetoric of Donald Trump, after he was elected and discussed the potential psychological consequences for international relations when only focusing on “America first”Each year we discuss different recent developments in intergroup relations from nations around the world, depending on what the students want to analyze. One of the project I am currently investigating with my students is a project on the psychological impacts of offering micro loans to marginalized people living in the global South. The majority of loans are given to women to empower them and help them to move out of the vicious circle of poverty. Recent research shows that providing loans does not always lead to the envisioned positive outcomes but may also trigger negative side effects such as an increase in domestic violence. As social psychologists, we try to find out why and how these negative side effects could be avoided. From a psychological perspective, the domestic violence is actually not that surprising: Offering small loans to women is intervening in the distribution of power in a household, in this specific case in the gendered power relation between husband and wife. More precisely, women who receive these loans are often living in patriarchal cultures. Men might feel excluded from these programs and might be skeptical about these. To retain their power hey may restrict their wives. I am interested in how microfinance programs could be improved to avoid such negative side effects and empower women. Together with a PhD student, we have investigated whether and how involving both women and their husbands to some training sessions may help to overcome the negative side effects and help to strengthen the position of women. Social psychology can offer important insights to carefully analyze and develop suitable interventions to improve current practice. Offering micro loans to women does not only intervene in the financial situation of women, but also in their social relations at home. I think the RUG is a unique place to study social psychology. In the social psychology program, staff members offer a large range of different topics and do research with different societal actors such as companies, organizations, and governments. Students can design their masters based on their own interest for example by focusing on communication and consumer psychology, health psychology, cultural psychology, or understanding groups and diversity. They can choose an individual master thesis project from a variety of research topics bridging society and academia. Students learn how to analyze human behaviour and apply their theoretical and methodological knowledge, an important preparation for the job market. The classes are small and interaction is intense. 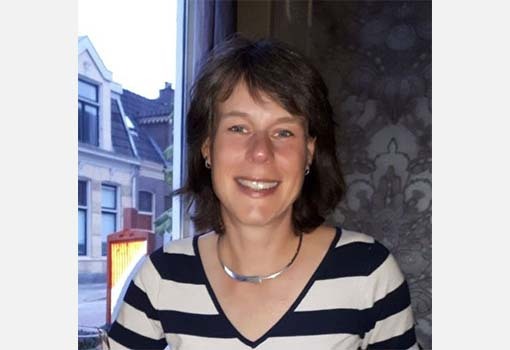 My name is Marieke Timmerman and I am professor of multivariate data analysis in the Master's degree programme in Psychology at the University of Groningen. I am also director of the Graduate School of Behavioural and Social Sciences. What I find so fascinating about my field is that good use of statistical methods provides genuine insight into the reality underlying empirical data. Numerous statistical models can be used to analyse complex data. It's a great challenge to find the models best suited to uncovering more than first meets the eye. This requires close collaboration between statisticians and researchers. I teach Test Construction and Repeated Measures in the Master's programme. Every student of the psychology Master's must take a methods course unit, and these are two of the course units they can choose. Test Construction concerns the proper design of psychological tests and the statistical methods which can be used to measure the quality of such tests. Repeated Measures concerns the statistical analysis of data collected from large numbers of people at various times. The role of statistics in the Master's degree programme depends on a student's particular interests. For example, a student wanting to learn to apply more advanced statistical methods to research involving repeated measurements will find the Repeated Measures course unit useful. A student wanting to learn about the differences in the quality of psychological tests and the consequences of using these tests, will enjoy Test Construction. As an international student at the University of Groningen (RUG) I felt welcomed and supported throughout the academic year. The international office with its professional staff has guided me to complete all the necessary procedures. The university student desk is always ready to help students with all the academic and personal necessities. The only thing you need to do is to ask for help and the university staff will do their best for you. The student is the center of attention. I had an exceptional academic experience with lots of challenges and excitement at the RUG. I had attended high standard courses, supervised by the best researchers in their respective fields. Apart from their professionalism they are passionate and inspiring. Faculty members are accessible and willing to give students advice about their study related questions and concerns. The Master program is structured in a way that allows students to select the courses that best suit to their interest. Lectures are given in an interactive format, meaning active participation is expected. There is a strong focus on research skills (statistics, writing, presenting), combined with learning how to conduct high-quality research or policy advice. This is a great opportunity to really get to know what scientific research involves. The perfect combination of theory, skills and practice will thoroughly prepare students for a job in the scientific world. The things you learn throughout the program will certainly allow you to successfully pursue a job outside of the academic world. The University also offers extracurricular courses and social events that make the whole experience even more exciting. The extracurricular courses aren’t restricted to the faculty members only, for example, I attended an extracurricular course on social entrepreneurship offered by the faculty of economics and business. If you are enthusiastic and motivated, the University of Groningen is a great match for you! Studying and living in Groningen is a life experience. Alongside a wide range of study programs, Groningen is considered to be one of the youngest cities in the Netherlands. Therefore, this beautiful city offers lots of activities for young people. Starting from the sport activities to the art classes organized by the student associations, you will have a chance to meet up with the diverse mix of students from all around the world. Dutch people are very nice and friendly towards foreigners, almost everybody speaks perfect English and not knowing Dutch is not an issue to communicate but it is always possible and encouraged to take a free course in the Dutch language offered by the University. To conclude, the learning process was even more than I ever expected could be possible. Based on this, I would fully recommend the University of Groningen to anyone who wants to get an outstanding education in a nice atmosphere. Natia Ubilava is from Georgia and moved to Groningen to study psychology at a master level, at the faculty of Behavioral and Social Sciences. Natia has a government scholarship to pursue her degree at RUG. 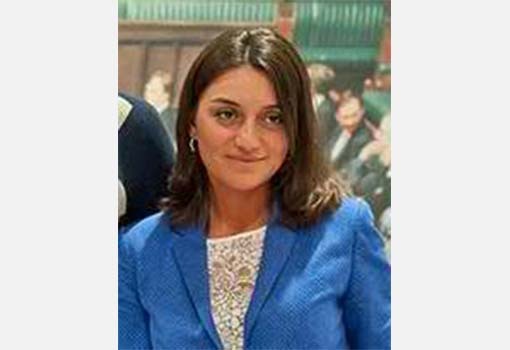 Upon completion of her studies, Natia will return to Georgia to work for the public sector. Natia will also pursue a career in social psychology at the Tbilisi State University at a doctorate level.